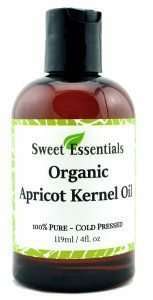 Apricot kernel oil is pressed from the kernels of the Prunus armeniaca known to regular people as apricot. Apricot kernel oil is obtained by removing the pit from the apricot and cracking the shell in order to access the kernel within. The kernel is then cold pressed for the oil so it retains all its nutritious properties. Apricot kernel oil is light yellow with a mild scent. Apricot kernel oil contains a high amount of oleic acid, an omega-9 fatty acid, and linoleic acid making it a good source of unsaturated fats. It also contains vitamin C and E. Apricot kernel oil is similar to almond oil and peach oil and can be used interchangeably in treatments. In Hunza, a state in Northern Pakistan, the number of apricot trees a man owns is the measure of his wealth. Many Hunzakuts live well into their nineties on a staple diet of apricot nuts and cooking with apricot kernel oil. Perhaps there’s a little something extra in apricots and apricot kernel oil! Apricot kernel oil is constituted of beneficial vitamins A, C & E in addition to oleic acid, an omega-9 fatty acid. These properties promote soft and shiny hair. Apricot kernel oil blends perfectly well with almost all known essential oils. It also works well as a body massage oil. Apricot kernel oil contains vitamin K, which can nourish the scalp and prevent hair loss by strengthening hair follicles. The high vitamin E content also plays a role here. Apricot kernel oil contains vitamin B17, a vitamins researchers say can help prevent cancer. While not directly related to hair care, I thought it important to include in the article. 30 drops of apricot kernel oil is supposed to make all the difference. A future article will explore benefits of apricot kernel oil for health. Add a few tablespoons of apricot kernel oil to shampoo or conditioner for extra softness. 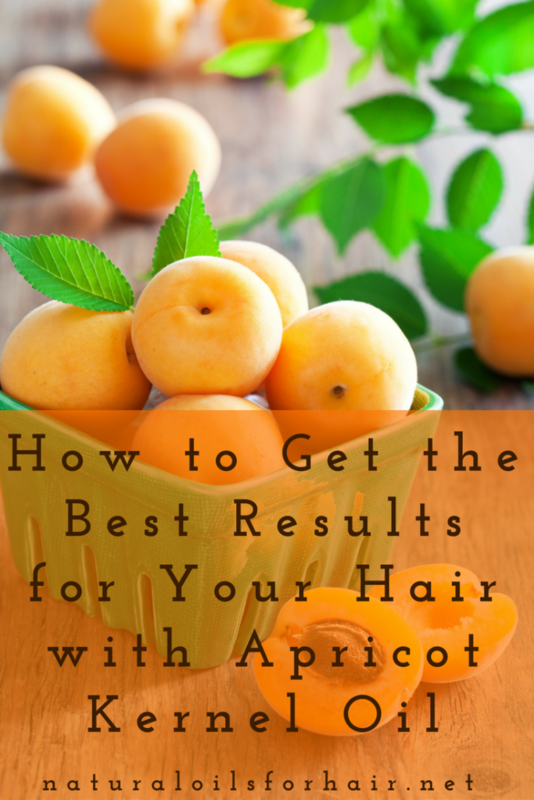 Use apricot kernel oil as part of a hot oil treatment. Add a few drops of apricot kernel oil your hair styling moisturizer or cream to give an extra boost of moisture and shine to your hair. Which Apricot Kernel Oil Brand is the Best? Made up your mind or want to try all three? Get them all with free shipping when you sign up, risk-free, for Amazon Prime HERE. For more articles and updates about natural oils as well as exclusive offers and discounts, sign up for the newsletter below.